Luis Muñoz Marín International Airport, also known as San Juan International Airport, is Puerto Rico’s only international airport. It sits outside the commonwealth’s capital and largest city, San Juan. High season in Puerto Rico occurs during the winter, when US citizens flock to the territory during the holidays. 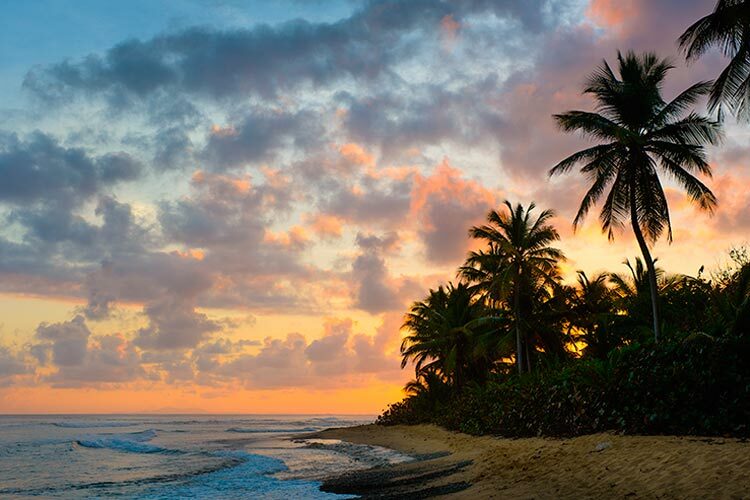 Weather in Puerto Rico stays between 21˚C and 27˚C (70-80˚F) year round, and in fact has never experienced a recorded temperature lower than 16˚C (61˚F). Images of the country’s flag and handmade crafts are the classic souvenirs from Puerto Rico. When imagining Puerto Rico, most people picture the eponymous main island, but the territory also holds claim to an archipelago of smaller islands in addition. Puerto Rico is located in the northeast Caribbean and has been under the control of the United States since 1898. However, the territory has yet to become an official US state, despite numerous opportunities to do so. English is widely spoken due to the American influence, but Spanish is also commonly used. The tourist industry in Puerto Rico is highly developed, and the area is considered one of the best places to visit in the Caribbean. Puerto Rico’s early history is quite difficult to determine, as its indigenous peoples left almost no written or archaeological records. However, most scholars claim the Ortoiroid peoples were the first to inhabit Puerto Rico, with evidence of their presence dating back almost 4,000 years. However, the Saladoid peoples took control of the island sometime around 350 BCE. By 150 CE, the island had again changed hands. This time, it was co-inhabited by two groups: the Igneri and the Arcaico. Some time in the 600s CE, the Tanía people took control over much of the Caribbean, including Puerto Rico. The Tanía ruled Puerto Rico for several centuries. Unfortunately, the arrival of Christopher Columbus in 1493 brought a lethal cocktail of European diseases to the island, which utterly wiped out indigenous populations. By 1519, much of the Tanía had been killed with smallpox. Meanwhile, the Spanish were hard at work establishing coastal colonies on the island. During this period, they subjected the Tanía peoples to slavery. Though the Tanía were freed in 1520, very few were able to survive to this point. To make up for the lack of the labor, the Spanish began importing African slaves. These slaves built many of Puerto Rico’s major ports, which were critical in the Spanish conquest of the Americas. Though Spain lost control over many of its American colonies in the next few centuries, they were able to retain control over Puerto Rico until July of 1898. At this point, Puerto Rico was technically still a Spanish colony, but functioned as an entirely independent country. However, within two weeks of becoming independent, the country was invaded by the United States as a result of the Spanish-American War. The US ultimately won this war, and as a result of the Treaty of Paris was given control over the Philippines, Guam, and Puerto Rico. The Philippines were the only one of these three territories that was able to gain its independence, and to this day the United States retains control over Puerto Rico and Guam. However, Puerto Rico enjoys a much greater degree of autonomy than any of the 50 official American states. Not only is San Juan the capital and largest city in Puerto Rico, it also contains the territory’s only major international airport, meaning almost all travelers will stop in San Juan at some point. Fortunately, San Juan is rife with interesting historical and cultural sites. 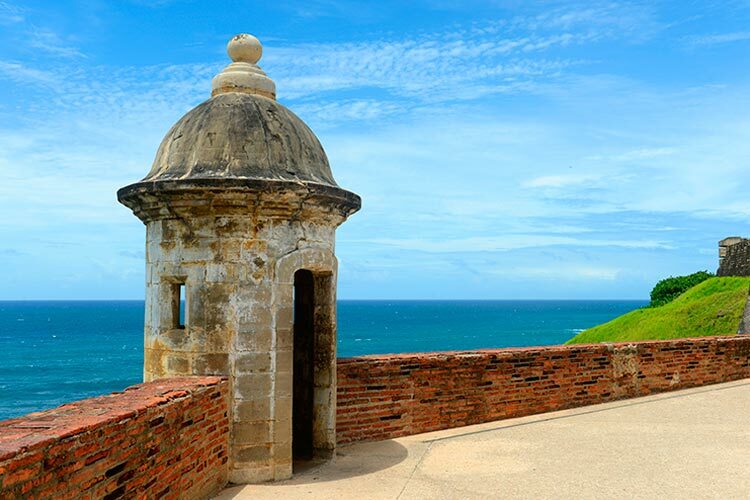 Old San Juan contains most of the more famous sights, including the San Juan National Historic Site. This history park contains a number of important sights, including the massive fortress Castillo San Cristóbal and the San Juan Cathedral. The latter of these is famous as the burial site of legendary Spanish explorer Ponce de Leon. San Juan’s other districts are also charming, particularly El Condado. This area features most of the city’s modern beach resorts, nightclubs, and upscale shopping. The island of Vieques is not far from the main island of Puerto Rico, but has an entirely different character. The island is largely rural and untouched, though tourist interest has increased in the 21st century. Most travelers in Vieques are trying to visit the town of Esperanza, which caters heavily to tourists and cruise ships. More interestingly, the island was the site of a major US Naval Base. In the early 21st century, the base was a huge source of controversy, which was ultimately handed over to the US Park Service. The vast majority of the base has since been converted into a national park, and the juxtaposition of Vieques’ natural tropical beauty and the old naval base is quite remarkable. The island also has a number of old Taíno ruins, including the famed “Taíno Stonehenge” located deep in the wilderness. Vieques also claims the Bioluminescent Bay, a stunning bay filled with microorganisms which emit light when moved. Taking a kayak through Bioluminescent Bay is an unforgettable experience, especially when during a new moon. 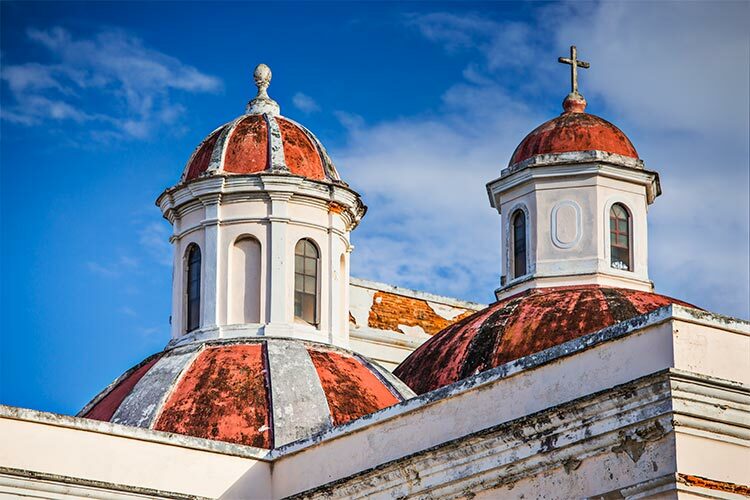 Ponce is the second largest city in Puerto Rico and boasts a distinctly European architectural style. Most of the city’s more famous destinations are clustered around Plaza las Delicias. The flamboyant former fire station on this square, Parque de Bombas, is definitely worth visiting. Near Ponce sits an uninhabited island called Caja de Muertos. This island has a hundred year old lighthouse and an underwater snorkeling trail. Caja de Muertos also contains some of the most isolated beach land in all of Puerto Rico. 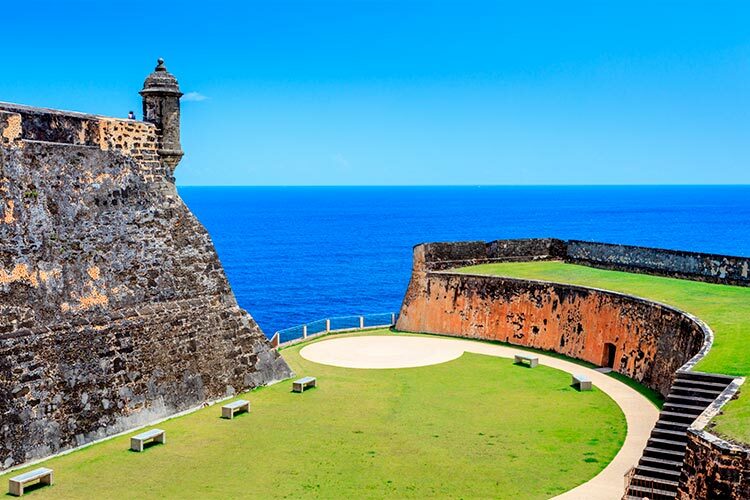 1) Be sure to spend time exploring Old San Juan, especially the San Juan National Historic Site (pictured below). This area contains most of Puerto Rico’s more famous historic destinations. 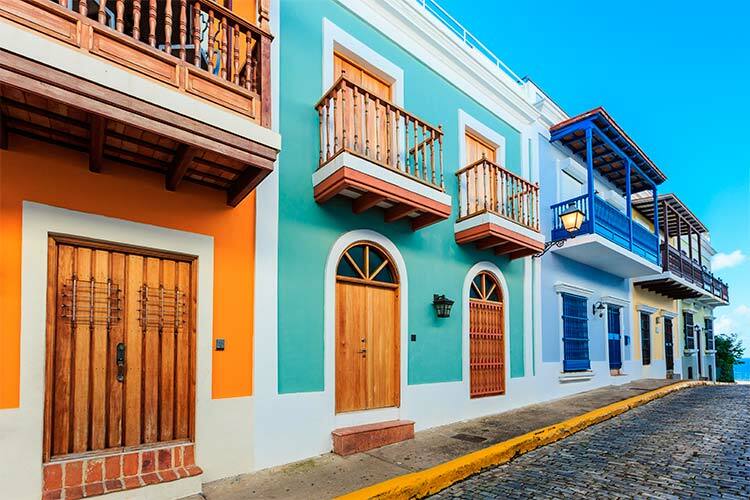 For a taste of modern Puerto Rico, head to El Cornada, home of San Juan’s beach resorts, upscale hotels, and fine dining. 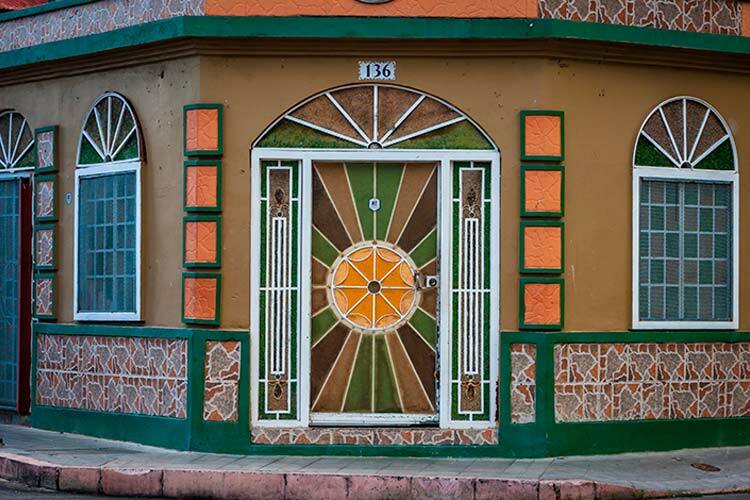 2) The smaller city of Caguas is perfect for getting a taste of authentic Puerto Rican life. The historic centre square contains a number of old buildings. Casa Alcaldía, Caguas’ city hall, is a particularly remarkable structure. Be sure to try authentic Puerto Rican food while you’re here and soak in the charm and grit of small town Puerto Rico. 3) Head to Vieques for its numerous natural wonders. Western Vieques holds a number of old US military sites which are now controlled by the USFWS. Head to Bioluminescent Bay for a surreal experience boating through the glowing, motion-activated microorganisms in the water. If you’re up for it, the island also contains a handful of old Taíno ruins hidden deep in the island’s wild. 4) Spend time exploring Ponce’s main square, Plaza las Delicias. Around this area sits the Parque de Bombas, a colourful former fire station which now hosts a fascinating museum. The exquisite city hall, Casa Alcaldía, also sits close by. Be sure to see Centro Ceremonial Indígena de Tibers, a fascinating park dedicated to the Taínos, one of Puerto Rico’s pre-Columbus societies. 5) Caja de Muertos is an island off the coast of Ponce that’s worth visiting for its untouched beaches alone. However, the island has lots more to offer, including vibrant wildlife and an old abandoned lighthouse. There is also a marked underwater trail for snorkeling which takes visitors through the island’s best underwater landscapes. 6) For ecotourists, Guánica State Forest is one of Puerto Rico’s best destinations. The forest is considered the world’s best preserved example of a Caribbean subtropical dry forest. Though these forests receive a good deal of rainfall and exude a similar vibrancy to a rainforest, they experience long yearly droughts. This has forced the wildlife to adapt, and there are many examples of plants and even animals that cannot be found outside a dry forest. 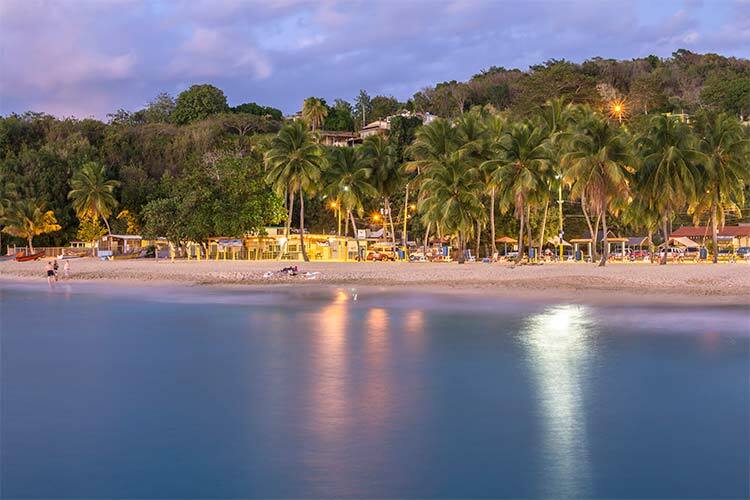 7) Aguadilla is mostly known for its gorgeous beaches, of which Columbus Beach and Crash Boat Beach are the best to visit. The latter features a large ship wreck and ample opportunities for surfing. Be sure to visit Parque Colón, a massive green space near where the first Spanish ships landed. The park features a huge treehouse, playgrounds, and numerous street vendors and performers.